Anja and Maarten share a decade-long working relationship due to their affiliation with Trompenaars Hampden-Turner and numerous projects offering intercultural business solutions. At Culture Learning Group, they have joined forces to serve their clients with the best possible expertise with the support of a network of the best practitioners in the field. "Anja has been a great help to us in understanding our needs and converting our ideas into perfect solutions every time we have had her in for an intervention. She translates our aspirations into achievable results so that I often I feel that she has been part of our organization forever. I have nothing but very positive feedback about her skills and her focus on how to smoothly but surely getting desirable outcomes. Top qualities: Great Results, Good Value, High Integrity"
"Anja is a unique individual: she combines strong business acumen with a real gift for connecting with people. She has an uncanny ability of establishing genuine rapport and trust with a wide range of individuals, a key skill given the nature of her work. The breadth and depth of her global experience is truly impressive. For companies keen to advance their own multicultural capability, Anja is the absolute best choice. I recommend her without reservation. Top qualities: Great Results, Personable, Expert"
"When Boehringer Ingelheim decided to increase awareness of cross-cultural considerations within the Company, Anja was brought on board to design an education and training program tailored to our needs. Our leadership team was impressed with her program delivery which combined expertise, energy, passion for the topic and a thoroughly engaging style. Anja's work generated nothing but positive and enthusiastic reviews. I look forward to partnering with her in the future. Top qualities: Personable, Expert, Creative"
"Over the past 3 years, I have had the good fortune to work with Anja Langbein. I say I am fortunate because Anja always brings her best to an educational experience. She is passionate about her work, listens intently to understand other peoples perspective, and is tenacious about making sure participants are both engaged in the learning process and are reflective on the implications it has for them in their day to day life. I have always experienced Anja as thoughtful, caring, and focused on making sure individuals have a positive learning experience." Anja's deep understanding of strategic leadership and intercultural business challenges is rooted in her professional career and personal life experiences in Europe, Asia and the US. Her career spans over twenty years in senior positions in academia and international corporate organizations. Anja's work focuses on cultural intelligence as the indispensable context for developing collective leadership and organizational effectiveness. Her ability to guide leadership teams through strategic business dilemmas combined with her skills as an executive facilitator have made her a highly sought after expert in the design and delivery of leadership and team building programs for Fortune 500 companies worldwide. Anja's highly engaging style and interactive personality has earned her a strong reputation as an energetic and sought-after speaker on such topics as Cultural Intelligence, Leadership Teams, Dilemma Management and Organizational Effectiveness. Throughout her career, Anja has worked with a wide range of international clients including AECOM, American Express, Boehringer Ingelheim, Conoco Phillips, Edelman, GE, General Motors, Harley Davidson, Iberdrola, IBM, the International Monetary Fund, Johnson and Johnson, Siemens, Lafarge, Novelis, Novo Nordisk, Philips, and Texas Instruments. Anja is a graduate of the University of Greifswald in Germany. She holds graduate degrees from Tufts and Harvard University in Technology and Education. She studied at the MIT Media Lab under Sherry Turkle and Mitchel Resnick and completed extensive course work at the Harvard Business School and the Kennedy School of Government. 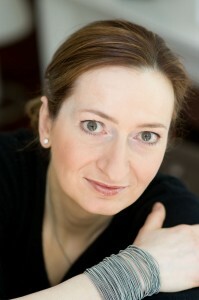 After working in Public Relations for several years, Anja joined Trompenaars Hampden-Turner (THT) in 2002. In 2012, she co-founded Culture Learning Group to offer her clients highly customized and targeted learning solutions. Anja is a faculty member of Fuqua School of Business at Duke University, Tuck Business School at Dartmouth College and Smith College where she teaches courses within their respective corporate education programs worldwide. "Maarten was one of the very best speakers we had at our conferences and executive workshops. We worked with him several times and his topics were highly relevant to our corporate environment, with great messages about overcoming challenges in a global setting. His story and presentation style were highly inspiring and engaging; often filled with humour, and with good use of tools and visuals. He was able to keep us enthralled all the way. 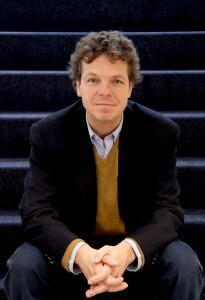 Whenever I am asked to recommend a speaker or facilitator, Maarten is the first one in my mind." "I have known Maarten since 2006 when we invited him for the first time to ourinternational conference in Punta del Este to talk about managing cultural diversity. We have been friends ever since. When in 2008 we organized another conference on leadership, many clients of ours insisted we had to invite Maarten back to this next conference, given the great impact he had made onthem the previous time. And that is what Maarten does: he makes great impact, even on those more than 150 senior executives and bankers who only occasionally show this kind of empathy. To have Maarten in your event, conference or training sessions not only brings top notch academic- and business practice into your meetings, but at the same time boosts chemistry, bonding and adds the unique combination of both humor and the ability to put the most serious issues into perspective. Maarten has the natural gift to show top executives the richness of modesty and provides senior and middle management with self confidence and the vigor togrow their careers and organizations. Maarten Nijhoff Asser thus makes a tremendously compelling long term investment." "Maarten Asser has worked, and is currently working with Starwood Hotels and Resorts, in several ways. He has worked with Divisional, Regional and Strategic teams as we have worked through alignment, organization, team building, capacity building and reimaging the future and our success. Maarten is strong in organizational capabilities, communications, strategic alignment, and team building. One of the areas of focus Maarten has brought to our team's work is dilemmas-the way the issues work and the optimum solution for success. He uses a carefully crafted axis discussion that is not based on either or, but rather how and-and. It has brought vision, creativity and a stronger alignment for the team's success. The teams he works with are high performing, strong and capable. He has brought a measure of asking questions for future growth, possibilities and a way to re-imagine the business. He allows the group to learn together and question the status quo, but when appropriate he pushes and insures alignment. He has an exceptional ability to connect with all members of the group as the teams work as individuals or in the team. He is also willing to make himself available to answer complex issues and challenges raised on site. Maarten brings a fresh, creative way to re-imagine the business and insure capacity building for future success." "Maarten has proven time and again to be an inspiring and well-received facilitator with a deep knowledge of the topics he teaches in his workshops (e.g. cross culture, dilemma reconciliation, change etc). Maarten brings great energy, deep experience, humor and exceptional practical as well as theoretical ability to his facilitation. He is well liked and respected by participants, intensely connected to the subject matter, a keen student of client's issues, and a wonderful individual to work with. I have engaged Maarten with a variety of our clients from large international banks to smaller engineering firms, and his sessions are always a success and memorable." "Maarten Asser has outstanding facilitation skills. He brings a combination of deep content expertise and an engaging directness together with the capacity to communicate complex ideas clearly. He is a very popular and insightful educator." Maarten Asser's engaging and highly interactive presentation and facilitation style, his professional insights, and personal anecdotes have made him a highly regarded speaker and facilitator on a variety of leadership and management topics around the world. His areas of interest and expertise are Globalization and Integration, Global Leadership, Change, and Dilemma Management, High Performing Teamwork and Intercultural Competence, and the process of Innovation and Entrepreneurship. Maarten is a strong proponent of corporate collective intelligence and uses business driven action-learning principles in his designs and facilitations to keep work sessions focused on the current operational and strategic development challenges of his clients. He also masters the required intercultural management skills and competences that he learned through his intense 12.5 year association with Fons Trompenaars and Charles Hampden-Turner. Maarten facilitates some of Duke CE's premier executive development courses worldwide and collaborates with various international business schools especially Tuck School of Business at Dartmouth College and the Indian School of Business, in Hyderabad, India. Maarten uses his experience and expertise to show decision-makers how management of assumptions of culture, style, and expertise can create better relationships, innovative processes, and team building, and can lead directly to improved and sustainable organizational performance. His list of international clients includes Novartis, Corning, Telenor, Goldman Sachs, Vattenfall, Dubai Government, Tata & Sons. Ltd., Hydro, Standard Bank, Campofrio Food Group, IBM, Intel, Enrichment Technologies, HSBC, Mahindra, PGS, ING, Genzyme, Starwood Hotels, and Thomson Reuters and others in the private and academic world. Maarten graduated from the University of Amsterdam, the Netherlands, Faculty of Law, with a degree in International Organizations and Intellectual Property, which still catches his interest. Further studies included an MBA in Innovation, Strategy, Information and Technology from THESEUS International Management Institute in Sophia Antipolis, France, and extensive coursework at NYU, New York, USA. Maarten worked for nearly 10 years in the international scientific, technical, and medical publishing industry in New York City, before his MBA launched his true passion for learning and development. He co-founded Culture Learning Group to support the broader scope of the work with our partners.